Many people think that black is the color of evil, as if evil were relegated to a color! Black candles actually summon the strength of those who have passed, not their evil tendencies. Black is a wonderful color to utilize in your time of need. Blue is a strong color of psychic abilities. It raises the vibrational levels of your space and can help stabilize your moods. If you've been hurt, blue candles can create a healing atmosphere in which to recuperate. Green is most closely associated with the heart chakra. That's right, it's not red or pink. It's a very earthy color, associated with the heart and nature. It's a perfect color to add to your life when you feel disconnected from the planet or life in general. Yellow is all about communication, peace of mind, and thinking. It produces a very cerebral type of energy. It's a great color to use when you're trying to quickly learn something or enrich yourself. Red is a great color to add to your life when you need passion, fire, and courage in your life. It's perfect for times of transition and change. It's key to feeling inspired to be alive and to have your loved ones in your life. Purple is like a power up for your energy and vibrations. 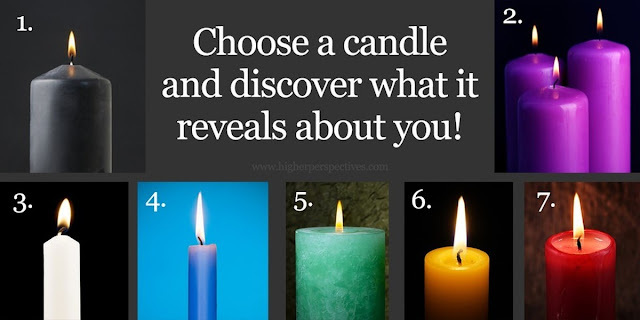 If you feel your aura has withered or you're just not sure of yourself, purple candles can pump up your energy field and help you fill your space adequately with your energy. White candles reflect lunar energy and helps your spirit vibrate at its highest frequency. It gives you the ultimate sense of purity and purpose. This color is excellent for calm meditation and self-reflection.